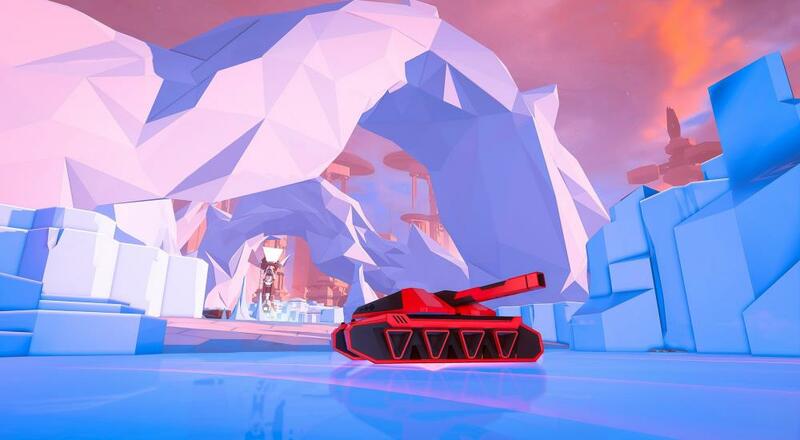 Rebellion is bringing their first-person tank shooter, Battlezone, to a wider audience with the "Gold Edition." Originally a PlayStation 4 exclusive that required the PlayStation VR headset to play, the title was ported to the PC last year, though it still required a VR headset (either the HTC Vive or Oculus Rift) to play. Now, they're dropping the VR requirement altogether so friends everywhere can play together. Battlezone: Gold Edition will also include all content/DLC that's ever been put out for the game since its release two years ago. As Rebellion stated in the announcement, "That's all the tank skins, bobbleheads, and horns, as well as the Classic Mode based on the original, iconic 80s arcade cabinet." Nick reviewed the game when it first came out on the PlayStation 4 and while he had a few gripes with the VR experience, he absolutely enjoyed the co-op aspects. This is just good news all around. First off, the game will be ported to the Xbox One and Nintendo Switch, so if you prefer to play with friends on those platforms, you'll get the chance to do so. Secondly, if you already own the game on the PC or PlayStation 4, then you'll automatically get upgraded to the "Gold Edition," which means not only will you be able to play with your non-VR friends, but you'll also be getting all content that's ever been released for the game. And, of course, if you still want to play using your VR headset, then nothing's stopping you. Battlezone: Gold Edition will arrive on May 1, 2018 for the PC, PlayStation 4, and Xbox One, and will retail for $34.99. It will arrive sometime this summer for the Nintendo Switch. Four player drop-in/drop-out online co-op is supported throughout the campaign. Page created in 0.8164 seconds.